to be making a public appearance today. 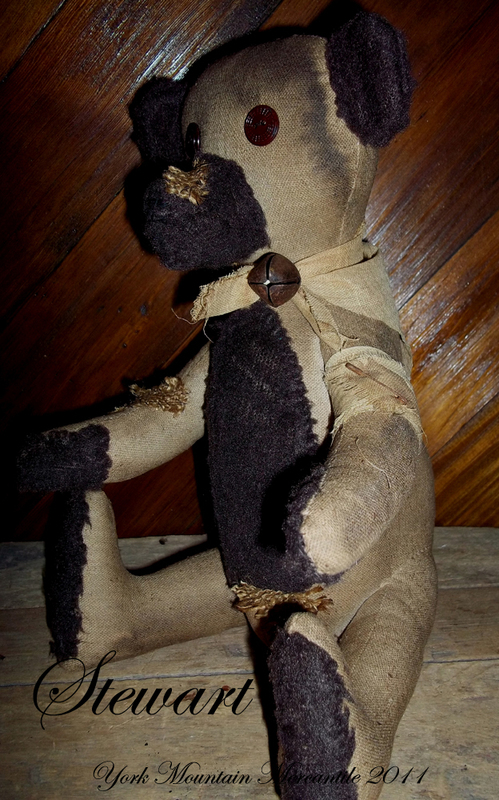 Stewart is one of my handmade Teddy Bears. He is tattered~n~torn........aged~n~worn. Stewart has fuzzy brown ears & muzzle, fuzzy patches on his belly and paws. Make-do patches of burlap sewn here and there. Stewart's arms and legs are sewn in a fixed position. Stewart is 10 1/2" tall. Stewart Bear is $old plus Travel Fare, he will arrived signed and dated by me, her maker.